Cruisinc is hiring for their 3*, 4*, 5* vessels sailing in Europe. The Cruisinc Group, established in 2008, is a group of Cypriot companies with Dutch roots, focusing on providing cruise ships with full catering services in a surprisingly creative and attractive way. These river cruise ships sail on the rivers and canals such as the Rhine, the Danube and the Elba in the mainland of Europe. We believe in doing things differently. No standard approach, but a sailormade approach. Every ship has its own audience and opportunities, we adjust our dishes and services to these factors. This customer centric thinking requires a lot of flexibility and empathy. In other words: creative catering. That is our core competence. We recruit, train and coach catering professionals like chefs, cooks, waiters, hosts and maids to make a difference for the guests every day. They can only do that by adjusting to the desires of the guests. They push hospitality to the max for the highest customer satisfaction possible. We know food and beverages are crucial to the cruise experience. That is why our chefs innovate the taste and presentation of the dishes constantly, to make sure the guests are being surprised by the food every meal again. Even if they yearly embark on the same cruise. 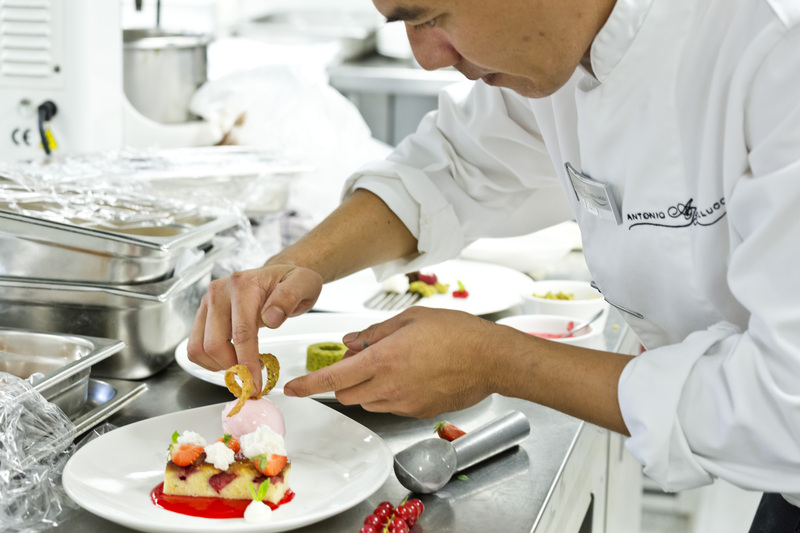 Not only the recipes evolve, every chef is aiming for perfect presentation and a consistent quality. The secret of great full service catering is adaptability to the desires of the shipping company. Together we create true customer satisfaction. We cannot do that with a standard approach, we have to do that by adapting to the ship and its guests.